Land sea beach during the storm. Deserted beach on the sea during a storm. A pair of lounge chairs on the beach face the water. 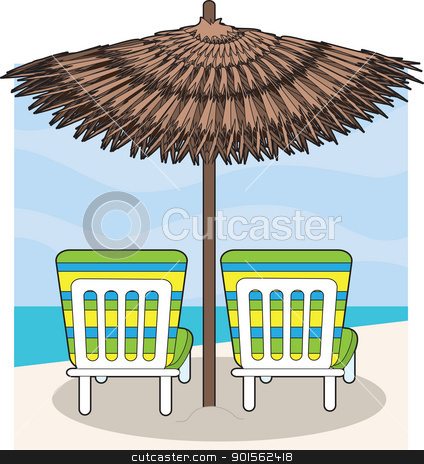 A beach umbrella provides shade.